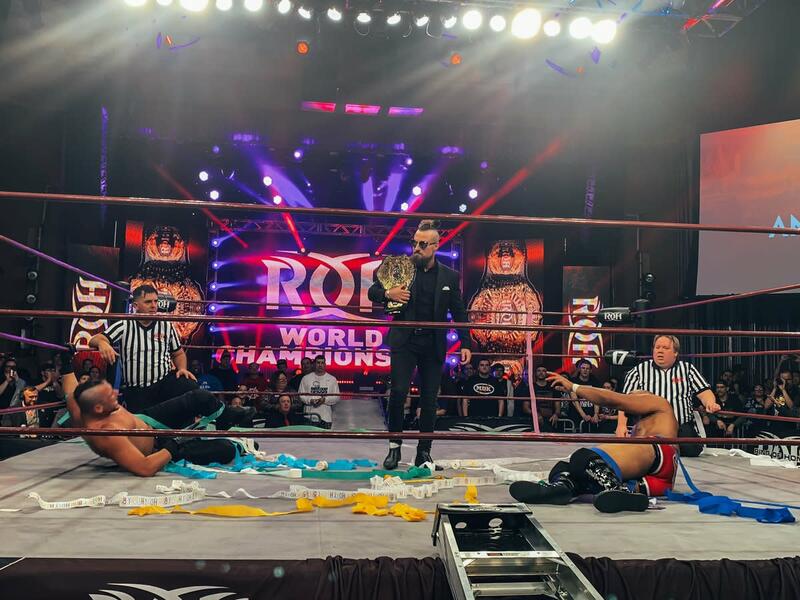 When Jay Lethal vs. Matt Taven at Ring of Honor's 17th Anniversary pay-per-view was over, the ROH World Championship match for G1 Supercard hadn't been officially confirmed. That changed at ROH's television tapings in Las Vegas, Nevada on Saturday night. It was announced that Lethal will defend his World title against Taven and Marty Scurll in a triple threat ladder match at G1 Supercard, which is taking place at Madison Square Garden on Saturday, April 6. Lethal and Taven went to a 60-minute draw in their title match at Friday's Anniversary PPV. There was a spot during the match where Lethal went for an elbow drop onto Taven as he was laying on a ladder that was set up between the ring and the guardrail. Taven moved -- and Lethal went crashing through the ladder. Scurll came out after Lethal vs. Taven, picked up the ROH World title belt, and then left with it. It was announced before the Anniversary PPV that Scurll would be challenging for the ROH World Championship at G1 Supercard. Scurll getting a future title shot was a stipulation of him winning last year's Survival of the Fittest tournament.